Outlook is inserting a period from my hitting the space bar twice. 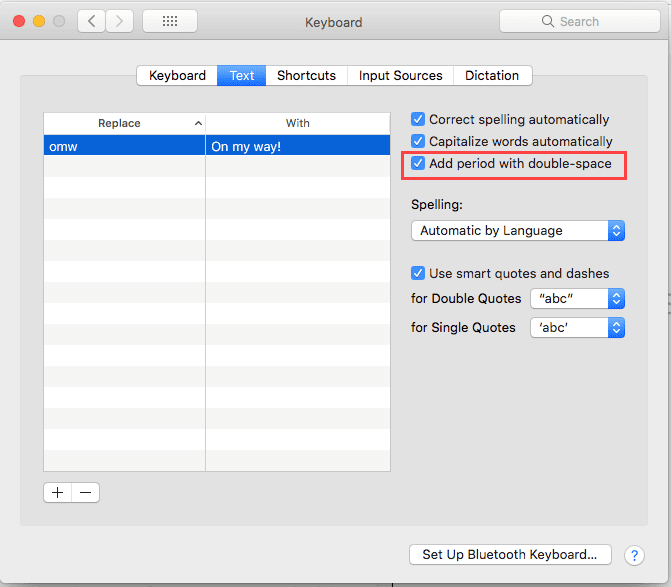 Is there a way to disable the automatic insertion of the period after hitting the space bar twice. This behavior is a Mac feature. You can turn it off in System Preferences, Keyboard. Select Text at the top of the dialog. The Add period after double-space option is listed on the right. I actually like this behavior, but I’m not in the habit of using double spaces at the end of a sentence. It makes sense to have it in desktops and laptops since it's common (and useful) on phones and tablets.